The idea of launching a peer-reviewed journal on specific issues related to maritime security and safety was developed within the framework of Cost Action IS1105 MARSAFENET. This network, founded in 2012, brings together international scholars and experts working on legal aspects of maritime safety and security. 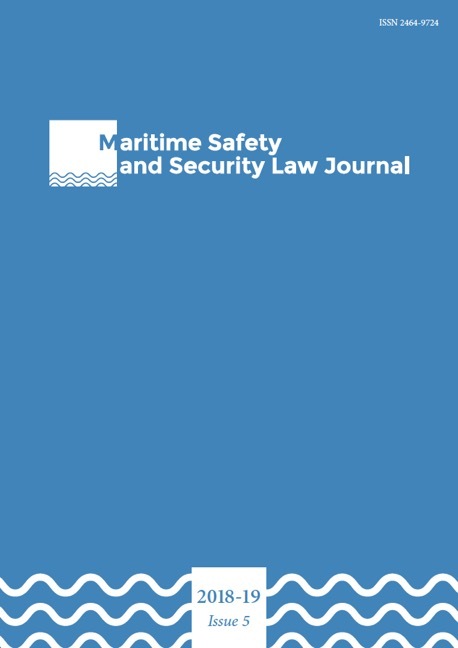 The aim of the Maritime Safety and Security Law Journal (MarSafeLaw Journal) is to highlight the most recent and relevant developments in the field of maritime safety and security without necessarily adopting a clear and definitive distinction between these two concepts. It is not always beneficial to distinguish between safety and security in the maritime domain, where an integrated approach that takes into account all kind of activities and their impact on humans and the planet is necessary. Moreover, many languages (such as Italian and Spanish) use the same term to denote what in English is referred to as safety or security. Hence, the title of the journal embraces both concepts with the aim of covering a wide range of issues and to accommodate a broad array of research interests, focusing on the legal aspects and analysis of maritime safety and security, yet not excluding the possibility to enrich it with new perspectives and approaches stemming from other disciplines. The contributions to the MarSafeLaw Journal were acquired through invitations and a call for papers. This dual approach to soliciting articles ensures the involvement of established scholars as well as early career researchers. The main idea is to offer a space where different backgrounds, opinions and points of view can be accepted and coexist, limited only by the requirement of a superior scientific standard. Indeed, the MarSafeLaw Journal strives to offer open-access articles of a high scientific quality, which is ensured through a system of double-blind peer-review. The publication of the first issue of the MarSafeLaw Journal was only made possible due the ardent and fruitful cooperation of its enthusiast Editors (in alphabetical order: Claudia Cinelli, Kamrul Hossain, Kiara Neri and Anna Petrig) – who, through their effort, dedication and vision, have enabled what was once just an ambitious idea to become a reality. I would also like to thank the Editorial Assistant, Maria Orchard, the members of the Scientific Board and the external (anonymous) reviewers for their professional and unconditional support and their generous assistance. The ambition is now to continue publishing this journal for many years to come, even after the Cost Action MARSAFENET comes to an end.